I was just on the website of EARTH Magazine (a magazine published by the American Geological Institute and whose target audience is the scientifically-inclined) and in the upper right corner was a simple online poll for visitors to click on. The question and results are below. 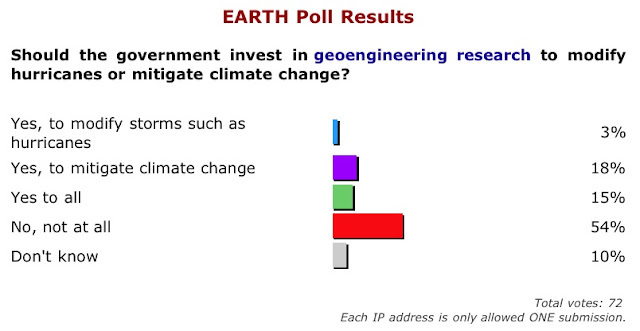 I'm not even sure how I feel about geoengineering, but I find this simple graph fascinating.